The cost of a subscription depends on the consumption. A subscription allows up to 10 CLI's (the number from which a call originates). All amounts are without VAT. OrcaGroup acquired this service of proximus as stated in the press release of Proximus. The communication platform of OrcaGroup has been enhanced with the ability to keep this service operational. The existing number 0475 16 16 21 en 0475 16 16 22 will be kept operational. This service turns alarm notifications into text messages via a modern protocol. This information includes the text message which has to be sent to the number of the mobile phone which the message is meant for. 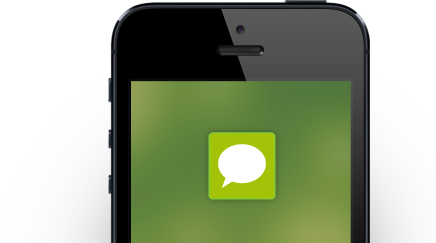 The platform immediately sends this message to the correct mobile number as a text message . The modem sends out a signal to the existing 0475 16 16 21 en 0475 16 16 22 number associated with the multi- media platform of Orca Group in case of an alarm . The SMS Communication Service accepts the signal , 'talks' with the modem and retrieves the relevant information from the message being received. 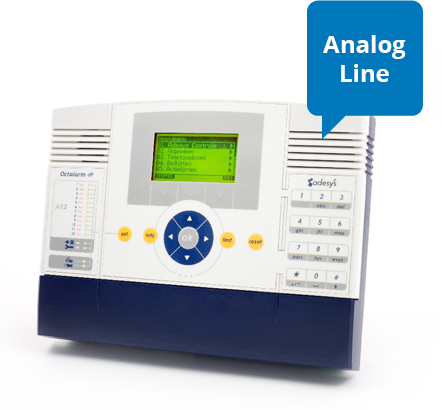 SMS Communication is a service that sends a text messages via an analog line to employees or repair mechanics. This service has been provided by PROXIMUS under the name TAP/UCP service. 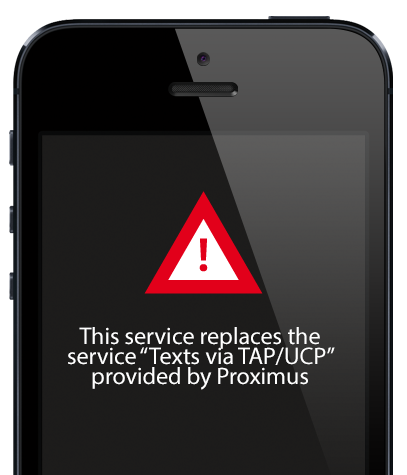 Will PROXIMUS discontinue TAP/UCP service (sending text messages via an analog line)? Yes, PROXIMUS discontinued the TAP/UCP service and OrcaGroup has acquired this service. As of November 1th 2016 a subscription will be required to use these services. This has been officially announced by mail in July 2016.
Who is SMS Communication for? All organizations (and individuals) who use equipment connected to a fixed telephone line to send out text messages. OrcaGroup is a company specializing in telecommunications solutions, creating several alarm applications and services since 1991. OrcaGroup has access to a sophisticated multimedia platform including SMS Communication. I do not have subscription with PROXIMUS: Do I need a subscription to SMS Communication? You are using SMS Communication if you receive text reminder messages and / or received alarm messages originate from 0475 16 16 21 of 0475 16 16 22 as sender. Sending alarm messages via SMS communication is not included in your provider (phone) subscription. To continue to receive messages, you will need a subscription. The costs of the subscriptions depend on the consumption per CLI (the number from which a call originates) per month . All amounts exclude VAT. The subscription fees are billed monthly in advance. 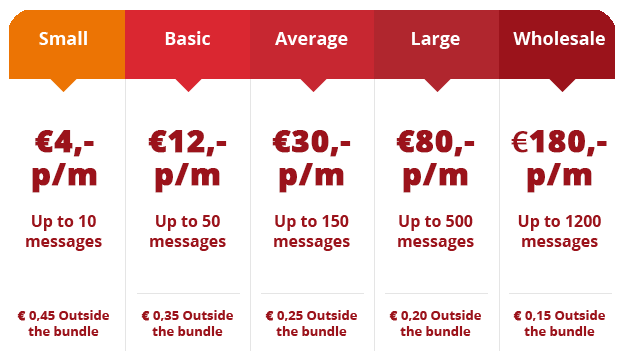 The used text messages outside the bundle are billed monthly. The invoices will bes end per e-mail. There will be a € 5,00 EURO charge to receive these by post mail. Curious as to why? Click here.